Have you noticed the new 15 cent fee on each checkout bag at the grocery store? 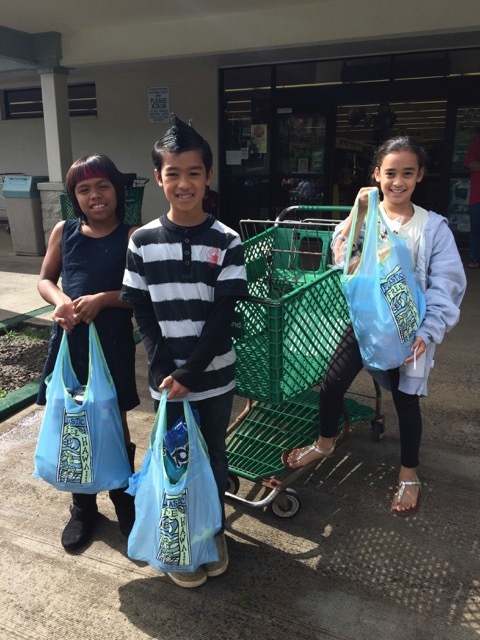 This new law strengthens Oʻahu’s existing plastic bag ban and is encouragement for us all to remember to bring our own reusable shopping bags, which is better for the environment and now better for your pocket! For more information about this new policy, click here. Also, remember, that this month is Plastic Free July, and it is a great time to challenge yourself to refuse single-use plastics!